While battling cancer, juicing was a vital part of my husband’s nutritional support system and remains an important part of our plant-based diet. When your body has developed cancer, or any illness, it is telling you something – its needs are not being met. Your body is a compilation of complex systems that all work together in creating your experience of living. Food provides the fuel all of those interrelated systems require in order to function and maintain health. When one or more of those systems are compromised, we get sick. Reevaluating your eating habits is the first step towards providing your body with the tools it needs to fight disease and regain optimal health. It’s all about eating consciously. Our bodies have an incredible capacity to heal and your diet is the foundational support system in that healing process. Juicing is a great way to provide your body with much needed nutrients that are easy for your system to absorb. Nutrient rich – When you drink fresh vegetable juice, highly concentrated vitamins, minerals and enzymes are easily accessible to your body as they rapidly enter the bloodstream. Juice made from fresh produce is high in antioxidants and minerals, wonderful tools in the fight against cancer. Because most of the fiber has been removed, the nutrients can bypass the digestive system and go straight to where you need them most. Tip: Juicing with lemon (including the rind) helps increase your nutrient absorption rate. 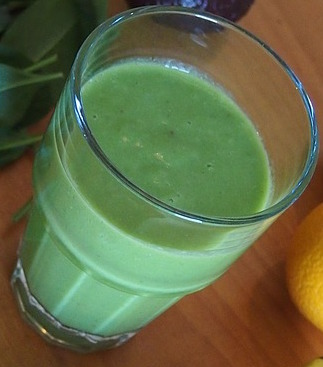 Green drinks are alkaline – juicing greens are a great addition to a low glycemic alkaline diet. When my husband was battling cancer, he drank two glasses a day. If you are eating a plant-based diet, you are already consuming plenty of natural fiber at every meal. Most noncommercial grade juicers do not eliminate all the fiber, leaving some pulp. It is never a good idea to use juicing as a meal replacer. Juicing should play a supporting role in your healing diet, not act as a substitution for eating healthy meals. Juicing is similar to taking a nutrient balanced bio-ready vitamin. Juicer versus the blender – The benefits of juicing out way those provided in smoothies. Although smoothies made with a blender maintain the fruit and vegetable fiber, they do not provide the same amount of nutrients as a juicer. Blenders require that you add liquid to dilute the mixture into an easier to drink substance. Smoothies require fruit in order to make the drink more palatable, thus adding more sugar. When adding lemon to a smoothie you must first remove the rind or the drink will not be palatable. Lemon rind contains bioflavonoids and essential oils that provide intense immunity boosters in addition to helping with nutrient absorbtion. When juicing, you simply put the lemon with rind attached into the machine, incorporating all of those wonderful immunity nutrients into your drink. All that fiber included in your smoothie fills you up so you drink and eat less, thus limiting the amount of nutrients you consume. Choosing a juicer – There are so many different brands of juicers on the market making it difficult to decide on which one to buy. Centrifugal juicers that grind and strain the produce at high speeds tend to be cheaper, but less efficient. It is also theorized that juicing at high speeds generate heat that decreases the amount of enzymes in the final juice. With that said, our first juicer was a Juiceman that we loved. It wasn’t efficient when juicing greens and was a pain to clean, but it provided us with healthy juice until the day the motor burned out. Masticating juicers, although more expensive, crush the produce at slow speeds which results in more juice out of the same amount of vegetables. After extensive research, we replaced our Juiceman with a Slowstar that we love! It is so much easier to clean, quieter to run and produces a lot more juice per pound of produce. Tip: When investigating juicers, visit YouTube to watch videos on the different brands you are considering. There are even some videos that compare competing juicers. When you’ve decided on a brand, compare prices from the manufacturer, local stores, and Amazon in order to get the best deal. Storing juice, fresh is best – I have a friend who creates her juices on Sunday for the entire week. If stored in an airtight container in the fridge, the oxidation and loss of nutrients is slowed. However, by the end of the week, a significant amount of nutrients have been lost. I believe that fresh is best. Drinking your juice the same day provides the most benefit out of the drink. Tip: The best time to drink juice is on an empty stomach or at least an hour before eating a meal. This maximizes the amount of nutrients absorbed into the body. Sugar load – It is true that, when juicing, the natural sugars are more quickly absorbed into your bloodstream without the fiber to help slow absorption down. By making your juices with a larger proportion of low glycemic veggies, such as greens (kale, spinach, chard, parsley), cucumber, celery, lemon, and carrot, you lesson the sugar load. If you are concerned about sugar, it is best to drink your juice before or immediately after exercising so your body will use the energy from the sugar more quickly. Tip: Those with diabetes should consult their doctor before juicing. Vitamin K concern – Green drinks are high in vitamin K, an essential nutrient that helps in blood clotting and building strong bones. If you are taking any blood thinning drugs you should consult doctor before juicing as drinking juices high in vitamin K can decrease the effect of those drugs. Step 2: After juicing the above a few times, you may want to begin expanding your flavors. Using a base of carrot, apple and lemon, experiment by adding a few leaves of kale or a ½ of beet and a slice of ginger. Step 3: The greener the vegetables the more nutritionally dense they are. As you transition your tastes to drinking more greens, begin decreasing the amount of apple and carrot. Make sure you don’t forget the lemon because, not only does it increase the absorption of the other nutrients and help detox your body, it adds a nice flavor that balances the mineral earthy taste of the greens. Our favorite is mixing kale, chard, lemon, ginger and carrot. As you experiment, you will find the right combination you enjoy. Other produce you may want to try adding to your juices: spinach, wheat grass, cucumber, celery, beets, and limes. This entry was posted in cancer, Nutrition, Plant-based, plant-based, Recipes, Vegan, WFPB, Whole food, Whole food, plant-based and tagged alkaline foods, anti-cancer, drinking for health, eating for health, healing diet, healthy eating. Bookmark the permalink.